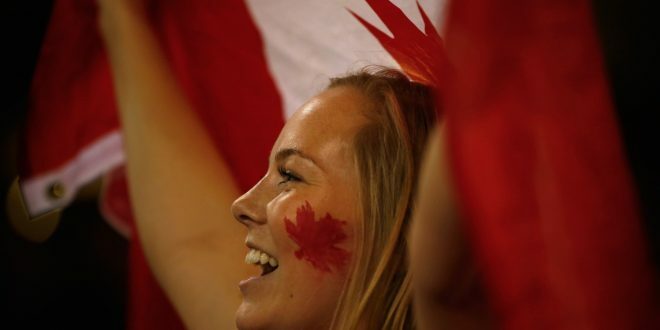 It appears Canada’s national anthem is well on its way to becoming gender-neutral after a vast majority of members of Parliament voted in favour of the change Wednesday. It shouldn’t be an issue. The change makes our anthem inclusive. It’s long overdue. It’s a recognition that almost 51 per cent of our population is female. But that’s not good enough for the Official Opposition. They are using arguments about history, heritage and heraldry to delay passage. They conjured up a series of far-fetched, hypothetical situations during debate as justification to block the bill. When it’s finally proclaimed as law this fall, its sponsor could be dead. Longtime Ottawa MP Mauril Belanger is a tragic victim of Lou Gehrig’s disease. Those Conservatives arguing against passage conveniently forget they proposed to modernize O Canada in 2010 but withdrew plans in the face of constituents’ opposition. If there is public opposition this time, it is extremely muted. The Tories also forget that the words were changed to “in all our sons command” at the start of the First World War as a tribute to fighting men heading overseas. Or that the words and lyrics have been tweaked several times over the years. Or that O Canada was only officially adopted as the national anthem in 1980. So much for tradition and history. How many Canadians know there are three other stanzas to O Canada – which are rarely sung – or have a clue what the words are? It’s perhaps just as well because many of us have trouble with just the first verse. Here’s a possible amendment: When O Canada is sung at public functions, especially at sporting events, the words should be displayed on the scoreboard or replay screen for the benefit of the singer and fans. Nothing is more embarrassing than when the soloist stumbles – as many do – and fans mumble the words – as many do. Despite Conservative stonewalling, Bill C-210 passed second reading in the Commons this week in a free vote of 219-79. It almost certainly won’t pass both the Commons and Senate before Parliament adjourns for the summer. It will be too late for Belanger. The bill is significant for women all across Canada. This year marks the 100th anniversary of women getting the right to vote. They can run for public office and die in combat. Next year is the 150th anniversary of Confederation. It’s time to stop excluding women from their national anthem. The bill will pass. O Canada will be gender neutral. Women will finally be able to sing the lyrics without cringing.